Most kitchen and bathroom drawers use tracks (slides) mounted on the sides of the drawer. These tracks can be unsightly and take away from the appearance of high end drawers. Make sure your slides have “full extension” allowing full access to the inside of the drawer. 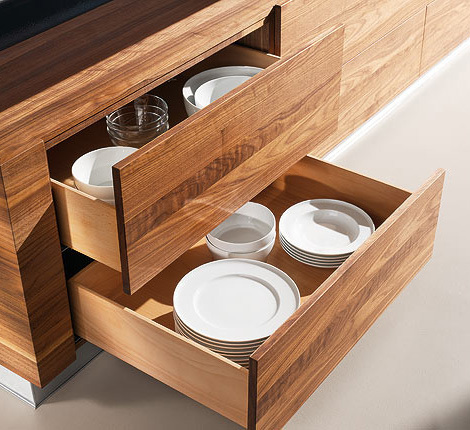 “Soft close” is another slide feature that must be included, preventing slammed drawers and shifted contents.